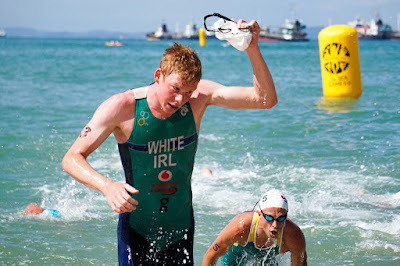 Russell White - Triathlete: Singapore Continental Cup Triathlon. 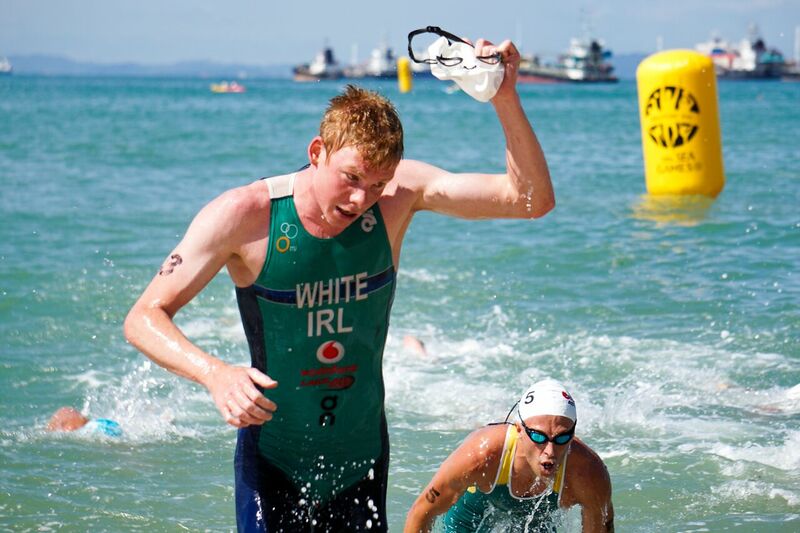 This was my second triathlon of a two race Asian adventure, chasing lucrative ITU points and some all-important confidence. Last week I started my trip in Osaka, Japan at a sprint continental cup where I finished 4th, agonizingly close to the podium; being denied the chance to stand up on the steps by a mere four seconds. 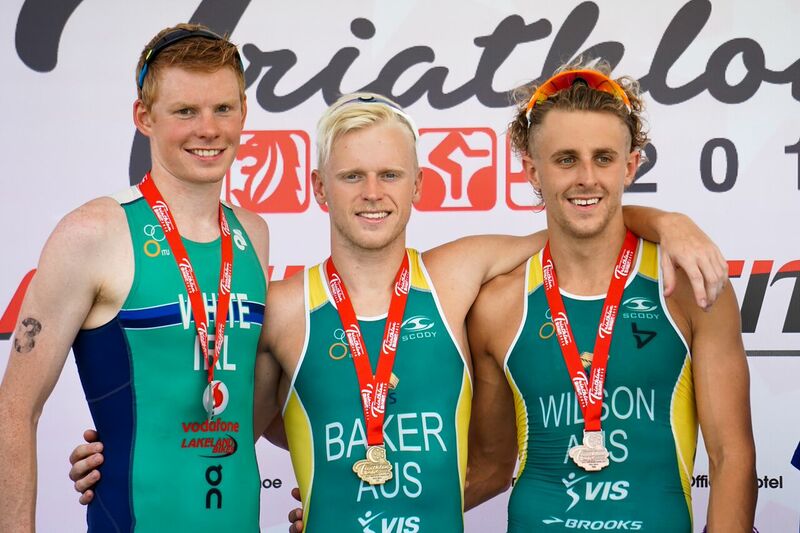 Disappointed as I may have been finishing fourth (toughest position in the world), I still left with points on the board, some cash in my pocket and the confidence that I still had a great race in conditions reaching 29°C, 86% humidity; not bad for a 6ft2” ginger, Northern Irish man. Six days later and I was standing on the sandy beaches of Singapore toeing the line of an Olympic distance Continental Cup. With the number 3 printed on my race cap I was there as one of the race favourites, in a position that I wasn’t entirely used to, but one that I came to Asia in the search of; somewhere I could learn the trade of dictating a race and one that I would be able to get my teeth stuck into. Currently I am very confident in my swim form and my aim was to see if I could stretch the swim out and put some pressure on others. I got to the first buoy in third position but once I safely negotiated the three turn buoys I moved to the front to set the pace, I was able to line out the swim but not able to cause any real damage. Exiting the water with one other athlete and onto the bike we had a small gap, but nothing of significance and after half a lap it was never going to stick, so we didn’t waste any energy trying to do anything stupid. The 40km bike section ended up being very tactical as all of the top ranked athletes were closely marking each others every move, forcing the race to be decided on the 10km run. Out on to the run and after nearly racing for 80mins and once temperatures had crept up to an uncomfortable 34°C there was not going to be an easy way to finish off this race. With a good T2 I was out at the pointy end of the race, giving myself every possible chance to contend for the major positions - a few athletes went out much harder than I was prepared to, but thankfully by the end of the first lap of 2.5km I had reeled back everyone but the eventual leader. Although by the end of lap 1 I had got myself into 2nd position there was still so much that could go wrong. Lap two I still felt good but at the 5km mark I started to panic, I wasn’t sure I was going to be able to keep my cool in the ever rising temperatures but I just locked myself in the hurt locker and focused on how much I wanted to hold onto that 2nd place finish. Thankfully I did just that and in doing so recorded my first ever international podium and hopefully, first of many as this experience has fed the hunger to get myself back up on those steps. I now need to use this motivation to get my head down and get some more solid training as over the past 5 weeks there has been plenty of racing but just not much training being logged. 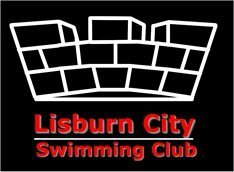 The last 5 weeks have consisted of: Leeds WTS (11th); Chateauroux European Sprint Championships (16th); Osaka Continental Cup (4th); Singapore Continental Cup (2nd). Motivation to get back train will not be a problem as at the start of August I fly to Clermont, Florida to train with Aileen Reid and Bryan Keane in their final preparations for Rio, Olympic Games. 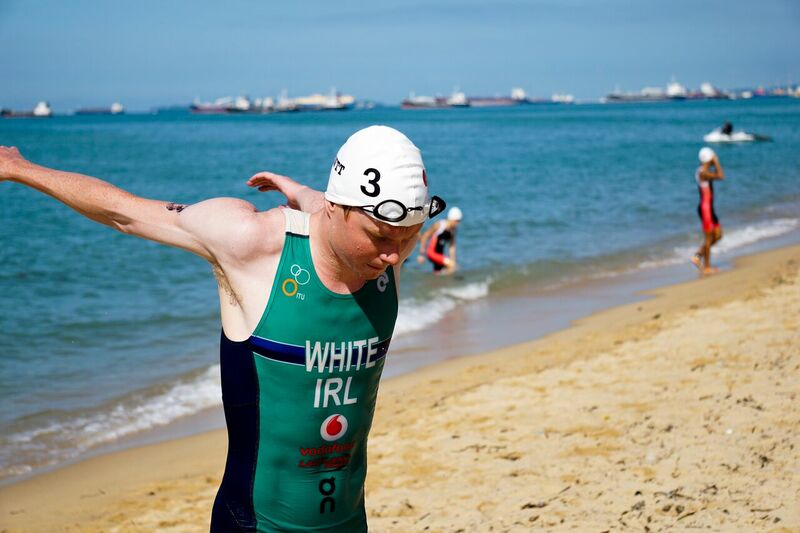 I am pleased to announce that I am not only there as a training partner, but in fact I have been selected as the Reserve Irish Male Athlete for the Games. Although it is not the same as going to the Olympics I am still privileged to have secured this role and it only fuels the desire to be ready for Tokyo 2020, but there will be plenty of races between now and then and I am very focused on keeping my momentum going for the rest of my 2016 season. I have moved up over 130 positions in the World Points List and my aim is to continue to progress upwards over the remainder of the year.